– Tackling the healthcare innovation challenge. Do we need a new direction? 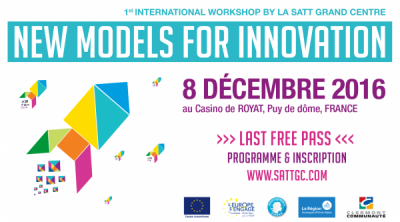 – Mechanisms for innovation in aging and health: Innovation hub model and co-creation process. – Big Science Technology workshop and process – an innovative and hands-on model facilitating links between Big Science, Academia and Industry. – Ideon Science Park – competence mixes, open innovation and incubator strategies has made success and employment grow over time. Creative cooperation has made it possible. – NOI – NATURE OF INNOVATION : South Tyrol’s new technology park.